The American Motors Corporation unveiled a new stylish performance sports car in 1968 - the AMX. This car had a lot going for it as a muscle car. In included a powerful drivetrain, sport suspension, and a sports car inspired appearance. This was also the only truly 1960's American two seater performance car available from the Big 3 other than the Corvette. The car featured a short wheel base (97 inches) which resulted in a low weight. In fact, curb weight was only 3,100 pounds. Coupled with a 315hp 390 cid AMC V8 motor resulted in a spirited driving experience. The cars featured a heavy duty suspension, E70-14 Goodyear polyglas tires, and a tough four speed transmission. Various engines were available including the 290, 343, and 390 big block. 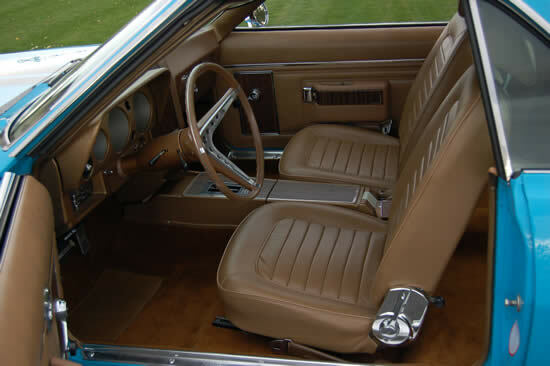 Interiors featured a relatively plain dash with deeply recessed gauges, reclining bucket seats, carpeting, and wood grain trim. Each 1968 AMX received a special dash plate that identified the serial number. 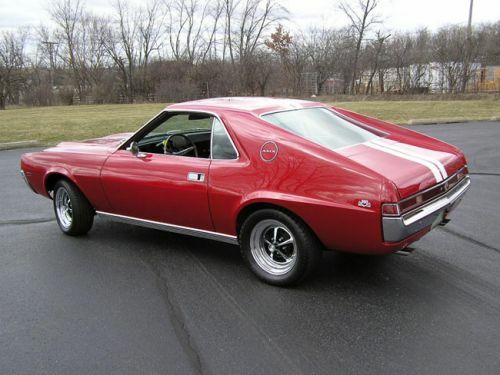 The 1969 AMC AMX would see quite a few changes made in an effort to increase sales to compete with other pony cars.